Call 02 9119 1034 or fill out form below. Right now when you buy a Fujitsu Air Conditioner you'll receive a Pre-paid Visa card or eGift card worth up to $400. Plus, go into the draw to 'Win 1 of 5 Family Holidays' valued at $12,000. Read more about this promotion here. An amazing 2019 deal not to be missed. We supply & install ducted & split system air conditioning systems across Sydney. Our team of air conditioning specialists can service and repair your unit to maximise its life span. We offer promotions on a regular basis. Be sure to check out our latest promotions we have on offer. Healthier air for your home or office. What is it? AirClean Filter™ improves your air. It's a disposable ac filter designed to trap pollutants that are over 10 times smaller when compared to a traditional panel filters. Replace your home or office AC filter today with Wattle Grove Air and make your health a priority. It's quick, easy and will last much longer than your traditional ac filter. Suitable for all ducted air conditioning models. Wattle Grove Air are a leading supplier of air conditioning solutions in Sydney. From ducted to split systems, maintenance to repair, we can provide all of your air-conditioning needs. We specialise in the sale, installation and service of air conditioning units for residential building projects and family homes. Our team is on hand to assist with air conditioning installation service and repairs. "Positive experience from start to finish as well as price was the best quote I got. Dean came to site and gave us options and there was no pressure. team was flexible with installation and they showed up on time. Unit was installed promptly and warranty repairs and servicing has been great to date." 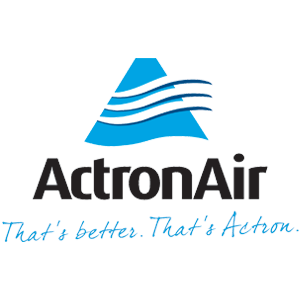 "Very happy with actron ac installed by wattle grove air and service. Kaitlin, Dean and the team have been responsive with maintenance and queries and job was done efficiently"
"After 17 years of suffering , 2 other Air Conditioning companies, we now have the best and most efficient Air Conditioning in our house. Thanks Dean, we are all very happy and would recommend your company." Why Choose Wattle Grove Air? Wattle Grove Air is a top Sydney air conditioning company, established in 2009 by Dean Russell (Director) and a team of air conditioning installation experts with years of aircon industry experience. Dean and his air conditioning maintenance and installer team took the opportunity to start a family run business motivated by integrity, supplying and installing quality equipment and friendly advice for families and small companies living in or out of the local Sydney area. Wattle Grove Air strives to incorporate the latest work practices and a new standard of professionalism in the home air conditioning market for the residential building industry and for families. We have air conditioning units in our showroom for you to view before you buy.